Personlise this stamp's imprint with your child's name and christening date and choose an image. You can also create your own imprint with our user-friendly software and add any details you like. The stamp model is Trodat's Printy 4642 which is a self-inking stamp. This means that the ink-pad is built into the stamp so no separate ink-pad is required. The stamp will last a lifetime as replacement ink-pads are available (order no 6/4642). You can choose between 5 different ink-pad colours (black, blue, green, red and violet). The round printed impression has a diameter of 41 mm. The stamp produces thousands of clear images. 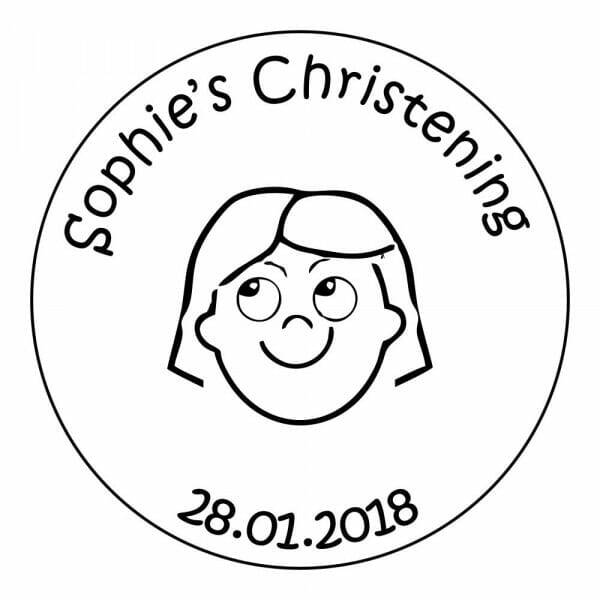 Customer evaluation for "Customisable Christening Stamp - Girls"